This jam-packed day tour is perfect for travelers with limited time in Japan. You’ll travel on a comfortable tour bus between dispersed attractions, which will take the stress out of navigating and working out Japan’s public transport system. Visit a winery for six wine tastings, enjoy a beef sukiyaki lunch, and go for a self-picking strawberry adventure. 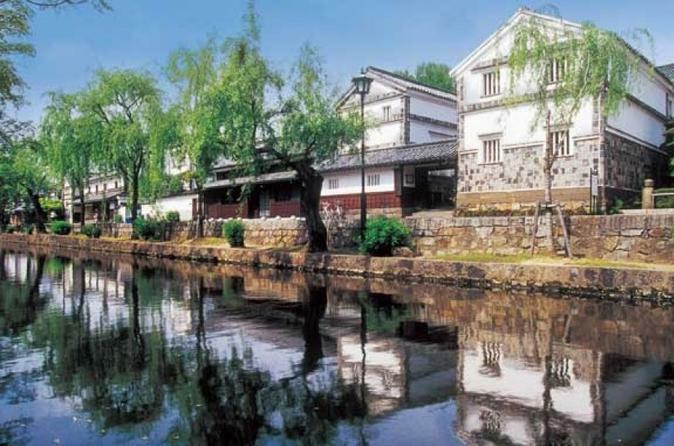 After experiencing great food, the day ends with looking around Kurashiki Bikan Historical Quarter.